People like to take lots of photos and video to document their lives these days. Most times we run out of room on our phones, or computer drives get full and bogged down. You can pay a monthly fee for things like Cloud storage, but with the product we’re reviewing today, you don’t have to. We are talking about the Kwilt3. Now, there’s a product we reviewed from this company in the past- the Kwilt Shoebox. They don’t seem to be selling that product on their website anymore, but have come out with the Kwilt2, and the Kwilt3. 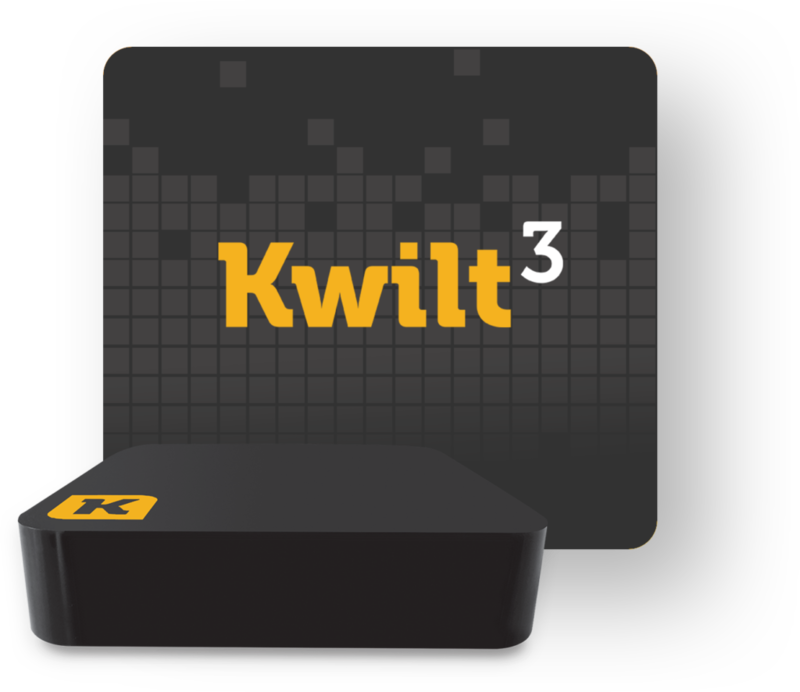 While the Kwilt2 is more affordable, the Kwilt3 is the most powerful, and best for the customer who needs more powerful processors and faster Ethernet and Wi-Fi capabilities. The 4.56” x 4.56” x 1.18” box is lightweight at 6.6 oz. The Kwilt3 comes with a power supply, 32 GB USB memory stick, HDMI Cable, and Ethernet Cable. The 1.5 GHz Quad-Core is a powerful thing which you can access through a USB 2.0 and a SD card slot for input. For storage ports, you have a USB 3.0 and 2 USB 2.0 ports. There is also a downloadable app for Android and Apple devices. Simply by using WiFi or Ethernet, you can connect your USB drives and memory sticks, and from there- save, access and share photos or other digital files from anywhere. You can also broadcast your photos and videos to your TV. While you are on vacation, you can send files to your Kwilt3 at home as long as it is connected on your home network. This powerful device is $149, plus shipping if you purchase it on their site. That is more expensive than the Kwilt2, but this one has a higher GB memory stick in 3.0 and is faster at processing. Amazon sells it at the same price, but there is free shipping. If you think about it, you are saving money ultimately without having a need for a Dropbox account or other Cloud accounts. This product was provided to us for free in exchange for our fair and unbiased review. No other compensation has been given. If you choose to purchase from our Amazon affiliate link, we will receive a portion of those proceeds.